These earrings are so simple and modern. They are perfect for proms, dance party or any special occasion. 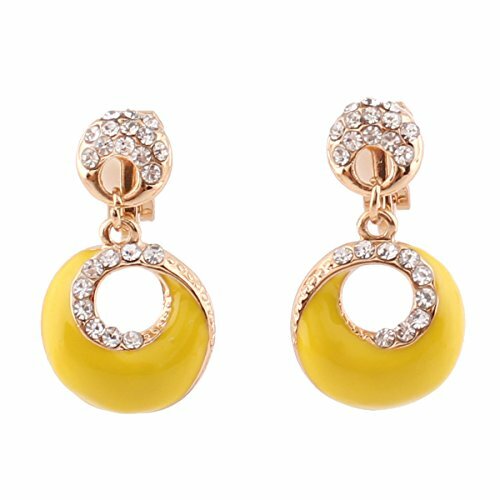 These earrings coordinate with any style or color dress. 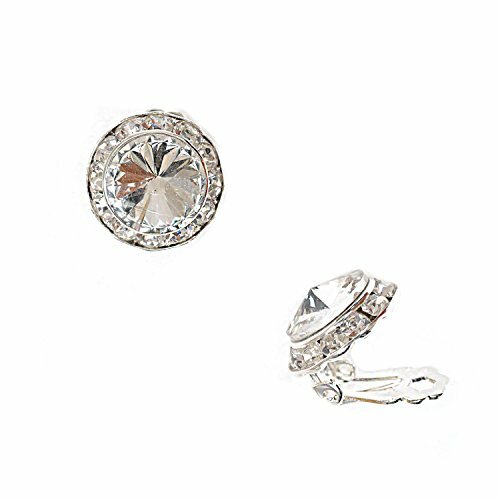 At last, gorgeous clip on earrings with diamond-like couture styling and all day comfort. 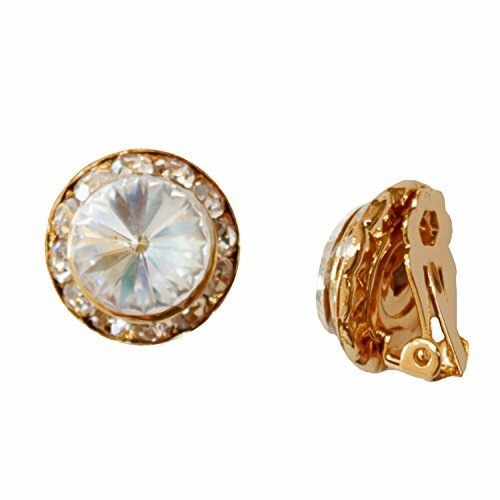 Whether you wear these gorgeous clip-on studs with a wedding gown, jeans and a Tee or a stylish business suit, no one but you will know these sublime stunners are not real diamonds! Mariell's 10mm (3/8" h x 3/8" w) halo shaped cubic zirconia clip earrings feature 0.75 Carat (6mm) pronged round-cut solitaires plated in Genuine Platinum. Though delicate in size, these lightweight dazzlers pack endless sparkle. 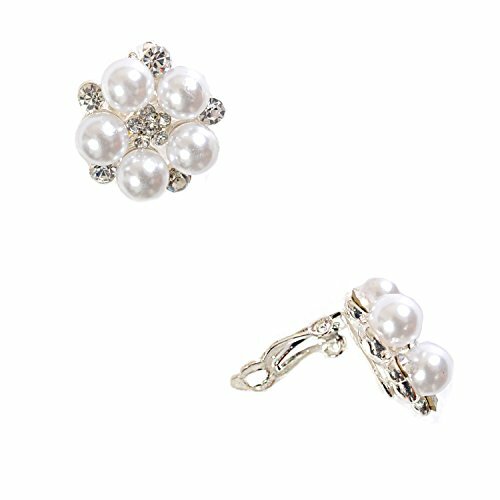 We can't resist the dress-up and dress-down versatility of these clip back earrings for both formal and everyday wear. Good things do indeed come in small packages! Treat yourself or someone you love to some seriously sophisticated glamour. Who needs diamonds? Slip on these Lifetime Guaranteed clip ons and you've got the look of priceless jewels at a cost that's probably lower than your morning latte and a warm croissant! 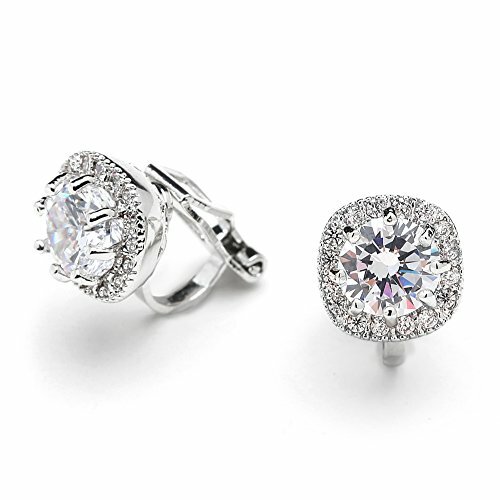 We promise you'll love these best selling CZ studs or your money-back. As always, enjoy Mariell's 100% Risk-Free purchase guarantee. These earrings are so fancy and modern. 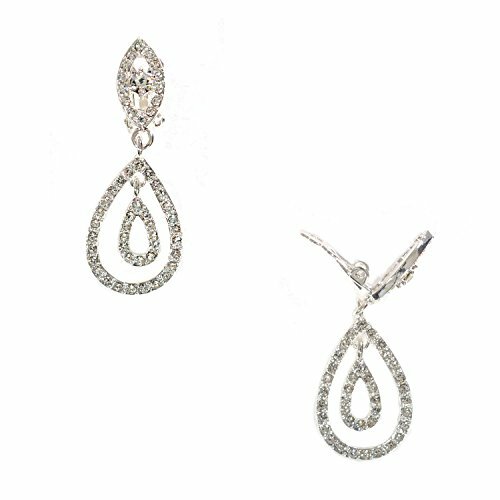 They are silver plated and two layer teardrop shaped dangle clip-on earrings tipped with eye shaped rhinestones. They measure approximately 2" x 0.5" and 4.8g in weight. They are perfect for weddings, proms, dance party or any special occasion. 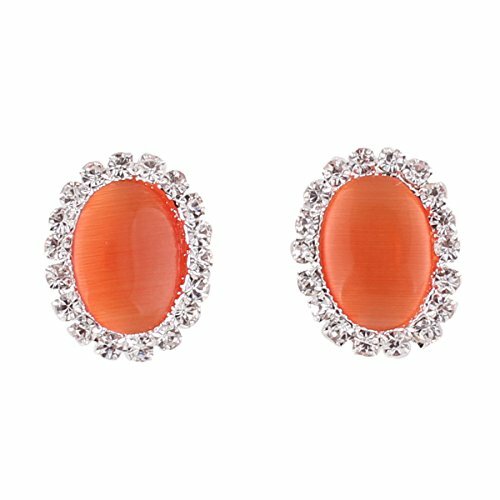 All eyes will be on you as you make your grand entrance wearing these stunning Cubic Zirconia clip-on designer earrings in Genuine Platinum Plated Silver Rhodium. 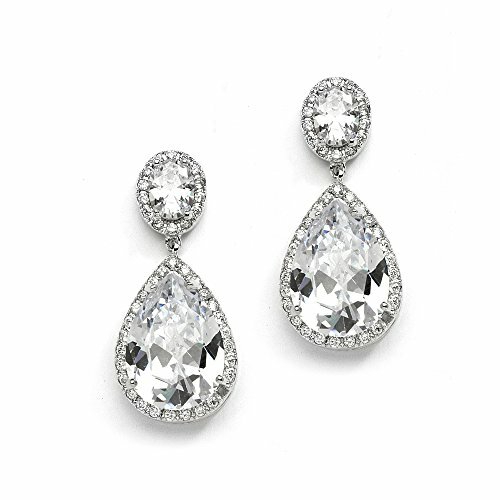 Right off the couture runway, these top-selling non-pierced dangle earrings are the perfect accessory for your wedding or bridal gown, cocktail dress or any special occasion frock. With their gorgeous Platinum finish and gleaming AAAAA quality gemstones, these clip earrings are guaranteed to turn heads everywhere you go! 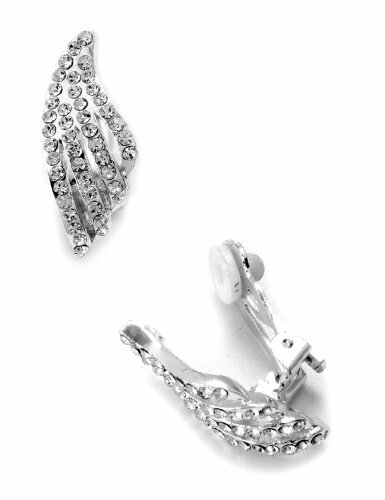 Add these Lifetime Guaranteed stunners to your jewelry collection and enjoy them for years to come. Complete the look with Mariell Design's elegant coordinating accessory sold separately as style 2074N-S. Treat yourself or someone you love to the gift of celebrity glamour! 100% Money-Back if Not Delighted. These earrings are so fancy and modern. They are silver plated and wave shaped clip-on earrings. They measure approximately 1" x 0.5" and 3.3g in weight. They are easy to wear. They are perfect for weddings, proms or any special occasion. 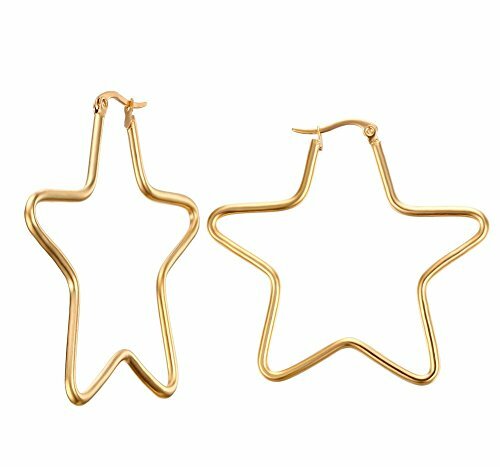 Compare prices on Shape Clip Earrings at TopShopion.com – use promo codes and coupons for best offers and deals. We work hard to get you amazing deals and collect all avail hot offers online and represent it in one place for the customers. Now our visitors can leverage benefits of big brands and heavy discounts available for that day and for famous brands.